Welcome to Ukraine - a beautiful green country in the south-eastern part of Central Europe. 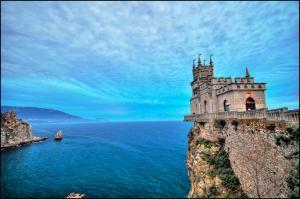 We in LTA company offer you to discover the beauty of Ukraine and the hospitality of the Ukrainian people. We will lead you through the most interesting places of our beautiful country, offering you complete range of travel services. Here you will find old memorial places, unique museums, ancient churches and picturesque landscapes, you will observe Ukrainian culture rich in traditions, learn about legendary Ukrainian Cossacks and enjoy contemporary art and architecture, sport and cultural events, fashionable high-standard hotels, restaurants and trendy bars. Beside that LTA company will organize your business travel to Ukraine from A to Z - visa support, hotel reservations, transfers, plane and train tickets, guide and interpreter services, excursion programs, conference and seminars package service, incentive tours, individual trips and everything you will need during your visit. High professional level of our staff, reliable partners all over the world and multi-year experience in travel and events marketing will make your travel comfortable and successful.